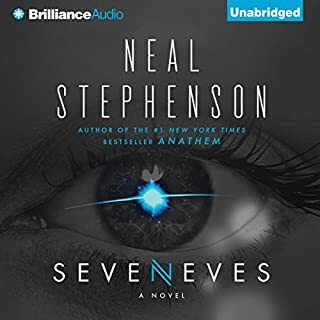 This narrator ruins one of Neal Stephenson best books. Takes a thoroughly unique, extensively researched masterpiece and totally messes up the performance. Full of totally inexcusable mispronounced and emphasis on all the wrong parts. How does nobody proof these before they're released? 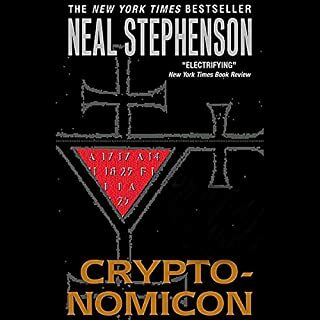 I am a humongous fan of all Neal Stephenson works from Zodiac to Cryptonomicon and was going this would be similar. While intellectually interesting and complex, this book is unnecessarily long and drones on on subjects that are not important for the overall narrative and just seem to weigh it down. Cool overall story but could have been 1/4 as long and just as compelling. 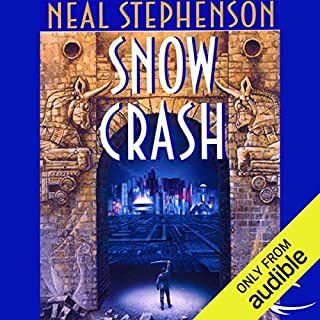 Was hoping for a Snow Crash but got something drier and more boring, with far less interesting characters. Title says it all. This is an absolute classic of a novel by Neal Stevenson but the narrator butchers its delivery. How to ace the private equity interview. This was a completely boilerplate set of generic job-hunting advice and gives absolutely no information specific to the PE industry. The title itself is an absolute fraud and this listing should be removed from audible. 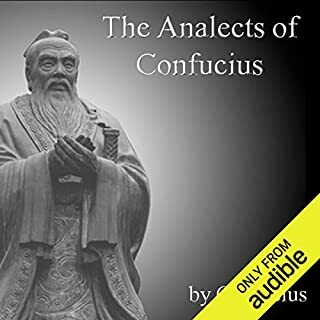 Shame for even allowing this to appear on Audible.com. 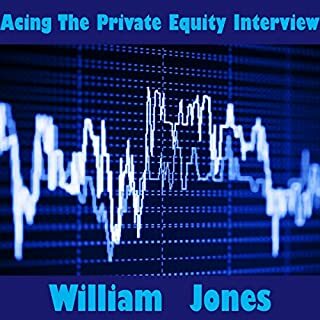 Has Acing the Private Equity Interview turned you off from other books in this genre? No- it wasn't a book about Private Equity. What didn’t you like about William Jones’s performance? He clearly did not rehearse. He sounds like he's under the influence of drugs while reading and frequently stutters or seems to lose his train of thought. Sounds like a Rick and Morty episode. 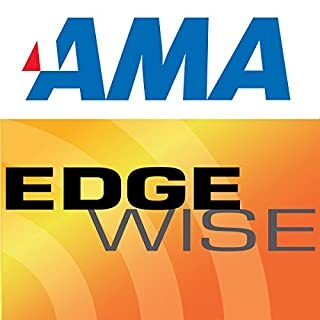 If you could play editor, what scene or scenes would you have cut from Acing the Private Equity Interview? It's a 4-minute clip that costs a few dollars and includes zero useful content. I'd cut the whole thing. I'd like a refund. 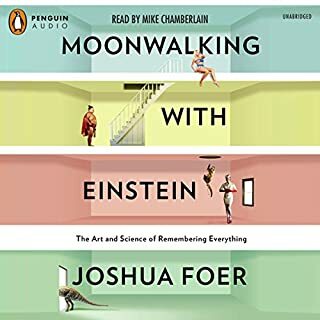 Listings like this tarnish the reputation of Audible.com, which otherwise provides an absolutely excellent service. When we think of France we often evoke images of fine food and wine, the elegant boulevards of Paris, the chic beaches of St Tropez. Yet, as the largest country in Europe, it is a place of huge diversity. The idea of 'Frenchness' emerged from over 2,000 years of history and it is a riveting story from Roman conquest to the present day. Absolutely fantastic crash course in French culture and history from Roman times through the present. 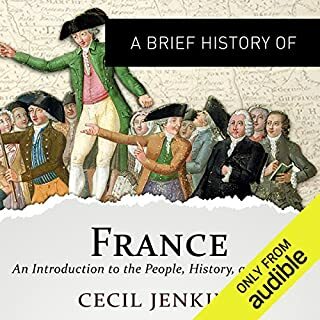 Excellent and easy to follow narration of what could otherwise be a dense read, full of interesting and relevant content. In her new book Accounting for the Numberphobic: A Survival Guide for Small Business Owners, Dawn Fotopulos attempts to reduce the number of small business failures by examining the struggles of owners attempting to turn their hobbies into jobs. Fotopulos argues that the key to success will not come from a constant attempt to attract new customers, but rather adopting a strategy in which owners successfully manage what they already have. This is literally a 20 min plug for a separate book. Totally useless for learning anything new. Like paying for an infomercial. Should be free. Wise words of a true sage. The tone and pacing of the reader were confusing and completely inappropriate. The reader seemed uncomfortable and unfamiliar with the text, as if reading each sentence for the very first time. The fit was like reading Shakespeare in the tone of a sportscaster. Reader also seems completely unfamiliar with pronunciation of Chinese names. I'm sure the reader is fantastic at interpreting other topics, but a reader more familiar with the subject matter would greatly improve the performance of this reading. I expected this book to techniques for improving memory skills. Instead what I got a Michael Moore-esque memoir of the author as he tried to learn about the field of memory training. He touches briefly on a few techniques he uses but never explains how to do them. Would definitely not download if I'd known what this book was about. Misleading description.